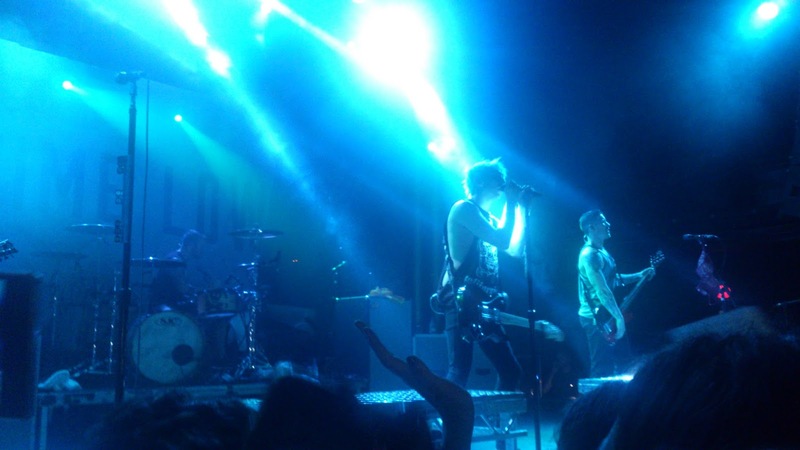 Recently I went to an All Time Low concert for the first time in my life. They're one of my favourite bands so you can imagine how excited I was. My friends and I queued since early in the morning and at midday or so we went to the back door of the venue because we heard the band had arrived. When we arrived there, we saw Jack leaving. A while later Rian walked past us and went inside, he stopped to just say 'Hola, buenos días' to us and I died. Later on, Zack got out of the venue, said hi to us but went straight to the gym that was next to the door, not that I was surprised about this, the guy loves the gym. We waited for like an hour or so more to see if Alex would come out but he didn't. We did see Jack go inside though. When it was lunch time we went back to the queue. It was so hot and sunny and I was hoping that I wouldn't get sunburnt. We stayed in the queue for a long time but again, we were told that the boys would go out again so we left again. We waited a long time and eventually we saw Jack going out. One of the girls and I went back to the queue to check that our things were okay. We arrived there and we didn't see the girls that were guarding the bags so we stayed in the queue. Later our friends came back and told us they had seen the wholeband. I wish I had seen them but still I was happy and I have the videos they filmed so it's all good! I had seen 3/4 earlier so I can't actually complain. And after all, we knew we'd be pretty close to the stage. Once inside, we saw that it was so crowded in the middle area so we went to the left side. Good thing we did that because we got to be 2nd - 3rd row!!! Once the venue was full, the first support band started playing. They were a band from Barcelona called Lancaster who I had never heard of before but they were quite good actually. Oh and they told us they were filming their next music video right there, that was exciting!! 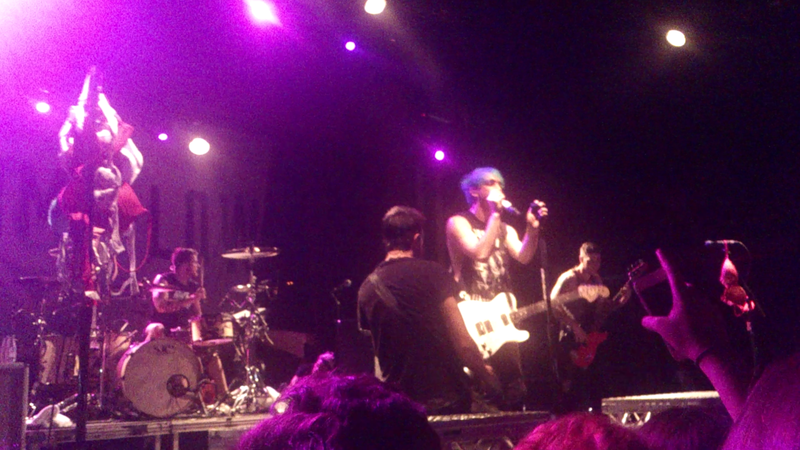 The last song of their set was a cover of Drown by Bring Me The Horizon. 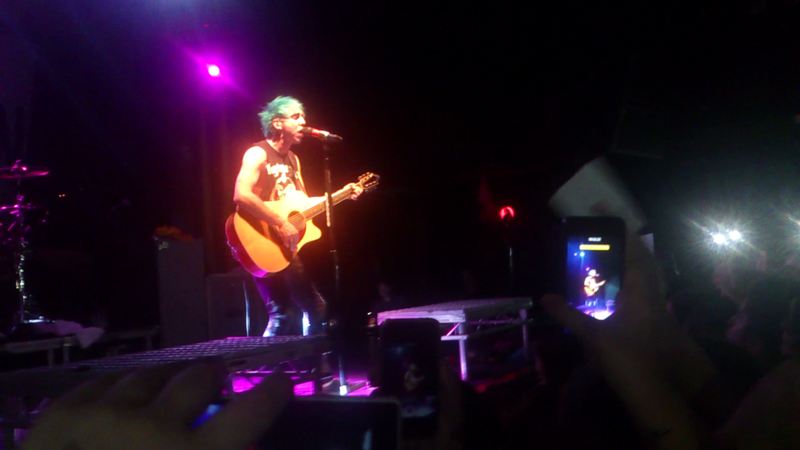 The whole crowd went a bit crazy and we all sang it at the top of our lungs. Then it was time for the second support band, Roam, a band from the UK. While they were getting ready we searched their names and we started to call them and 2 of them smiled and waved at us, it was so cute. I had never heard their songs before but wow they were so good. Their live performance was amazing and now I have another band to listen to!!! They will be one of my new favourite bands, mark my words. 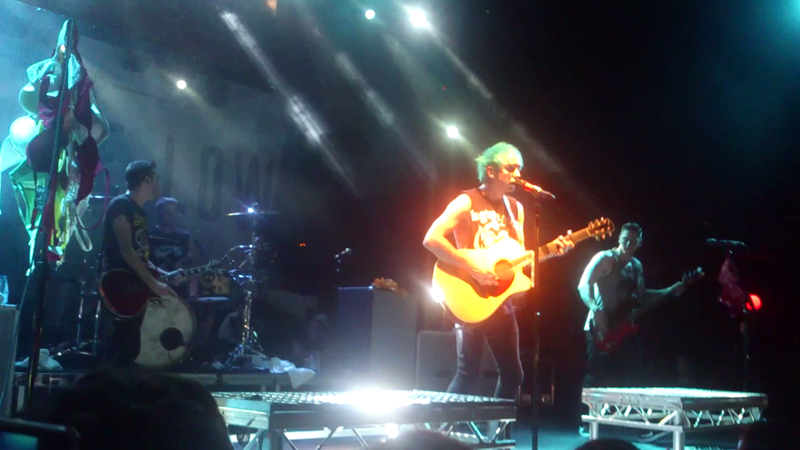 Hope they come here again with their own tour soon. 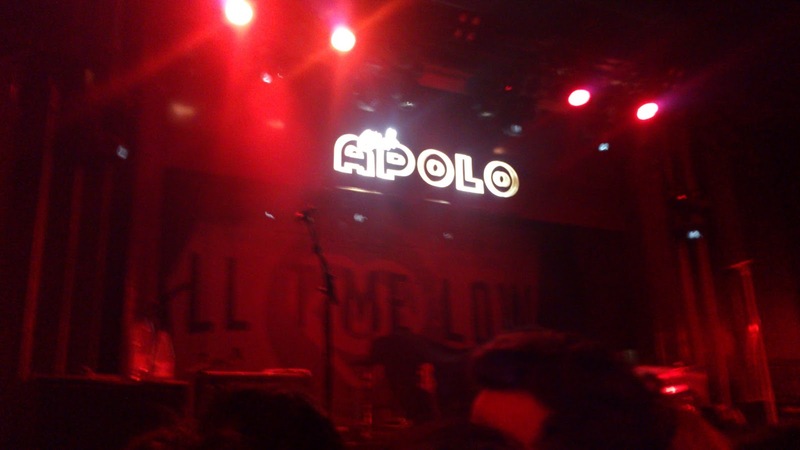 After Roam, there was music playing while we waited for All Time Low. Ain't It Fun by Paramore was one of them and everyone started singing it and it felt so good. Then the lights went off and I had to take a moment to breathe because I couldn't believe that I was about to see this band. They went on stage and started off their set with one of their newest songs. 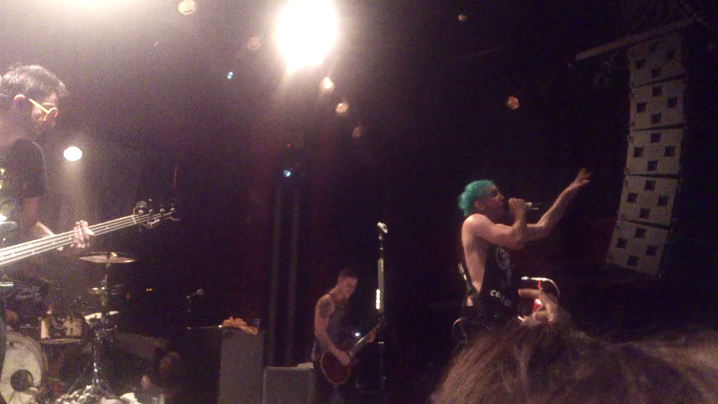 I barely recorded/took photos because I just wanted to enjoy the whole thing and not live it through a screen. During Therapy, I cried like a baby. I love that song and I did record it all, you know just so I can cry every time I rewatch it. I also recorded Missing You which I love too, especially one verse which is the one I had on my shirt. I posted a picture on my twitter if you want to see it. Another highlight of the night was that we celebrated Jack's birthday!! You know when artists leave the stage telling you they have finished but they don't? Well during those minutes we all sang the Happy Birthday song both in English and Spanish and when they returned to the stage the crew brought a cake for Jack and we sang the song again. I loved the talking between songs, I already knew they were funny guys but seeing it first-hand is a lot different than watching interviews at home. I could go on and on about each song and more moments of the night but I don't wanna bore you all so I'm just gonna say that despite the bad things, this was an incredible night and I sang as loud as I could and I enjoyed it. Screaming out lyrics that mean a lot to you is amazing, you feel so good afterwards. And let's not talk about the moment when the band stops singing and the crowd sings back the lyrics because that's always one of my favourite moments in concerts. It literally warms my heart to see their happy faces when we do that. I think it's like a connection between the band and the fans. And it's beautiful to be a part of that. Are you going to any concerts soon? If not, what has been your favourite concert you've gone to? Yess! Aw it's okay haha Tell me if you do and if you like any songs!! Yes it did, thank you!! I remember you told me you had seen Jack and gosh, reading everything, I really felt like I was living it. Pretty intense things wow.